The set includes 1 A2 embossing folder and 1 coordinating 5" border. Create striking accents or background texture for cards, scrapbook pages and more. 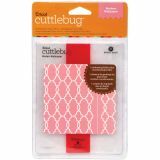 Cuttlebug Embossing Folder & Border Set, Modern Wallpaper - PROVO CRAFT-Cuttlebug Embossing Folder Set: Modern Wallpaper. Bring any project to life by adding texture and style. 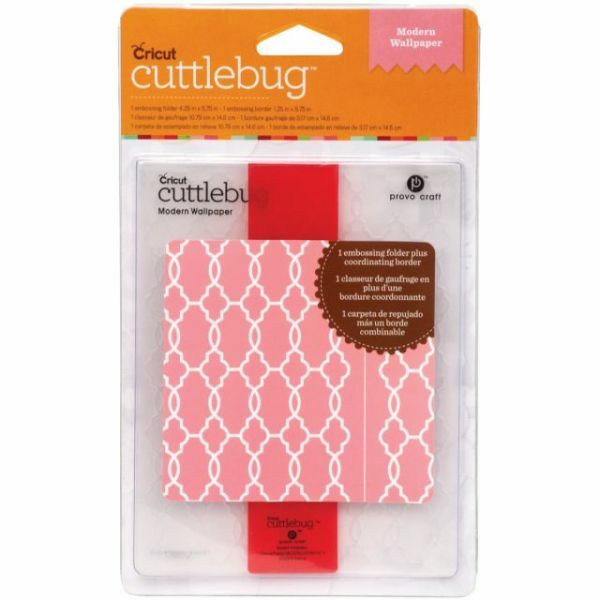 These handy folders are designed for the Cuttlebug Die Cutting System (not included). This package contains one 5-3/4x4-1/4 inch A2 embossing folder and one 5-3/4x1-1/4 inch border folder. Imported.